Today was all about resting and finding some normality before the next stretch of miles into Ukraine. 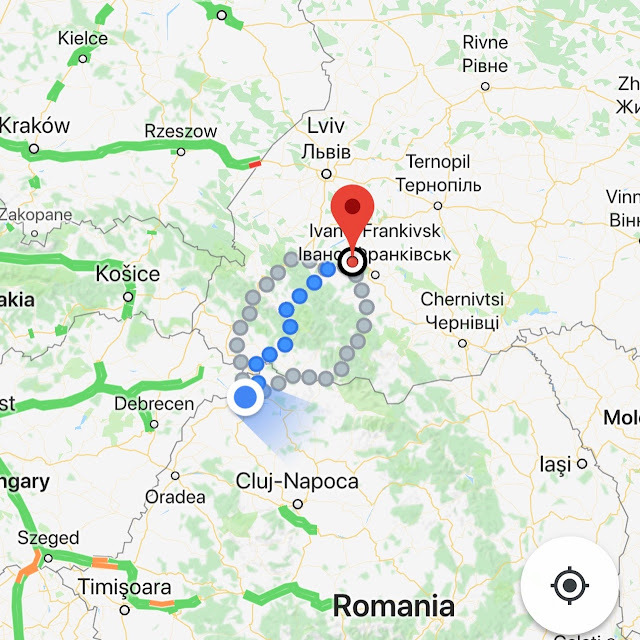 I spent most of the morning breaking up the 150 miles that it will take to run to Kalush into slices of 23, 23, 23, 22, 25, 22 and 11 miles. As ever, that will all be subject to weather, traffic and whatever unknown factors and situations come my way. I’m confident that, if I perform to the level that I have in Serbia and Romania, then I will arrive in Kalush on the 4th July as planned. The hotel delivered my clean washing this morning. This has been a huge help to me and I'm very grateful and also very apologetic for the smell of the washing when I handed it over! 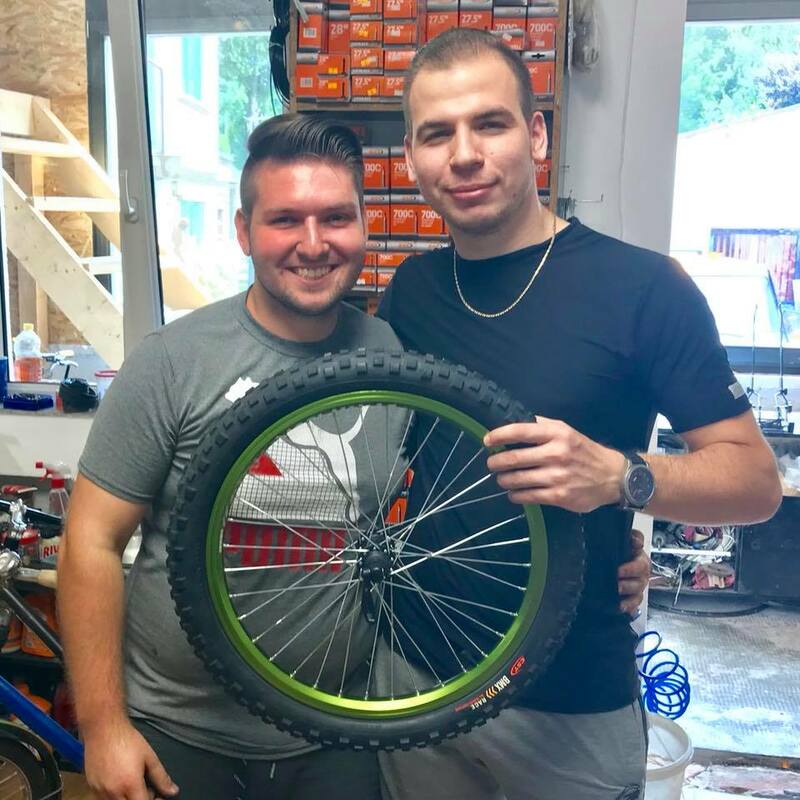 Prior to lunch I went to Loui's Bike Shop to pick up the new wheel from Loui's Bike Shop. It was £53 but it's money well spent and I'm sure it's going to prove very useful further down the road. I decided to venture into Satu Mare after lunch and visited the cinema. 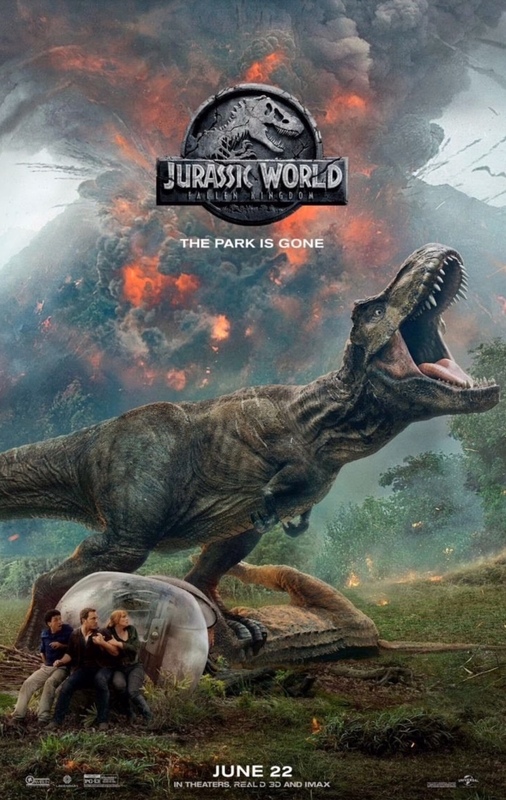 One particular movie that I had been disappointed to miss was the new Jurassic World. The good news was that it was showing at 3pm and was in English. I bought a coke and some Nachos for £3 and I enjoyed the movie a great deal. It was nice to do something that I really enjoy. It was nice to have some normality in my life albeit for only a few hours. After the movie, I walked back to the hotel and continued on to the nearby tennis club. 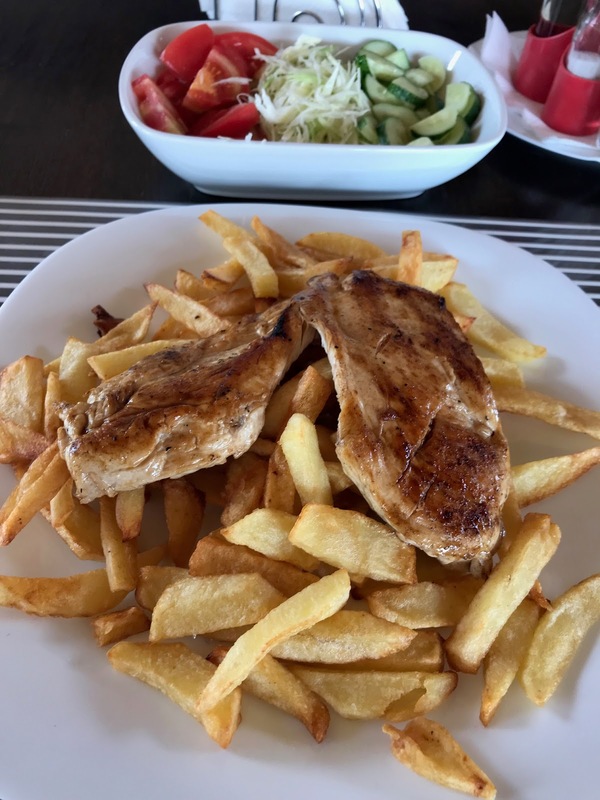 I ordered “the usual” which was chicken breast, mixed salad and home made chips. As well as being delicious, again, this gave me a feeling of normality. I stayed a little longer at the tennis club to watch the France v Denmark match. It’s a really good facility and I had a brief chat with Sipos the chef. I think that I might ask for fish and chips tomorrow. I've yet to see a menu. I just tell him what I fancy to eat. As I walked back to the hotel from the tennis club I saw Vasile who lives nearby and also Manuel the hotel owner. Manuel asked how he could help and I said that there wasn’t anything that he could do. I told him that all in need to do tomorrow is buy some water, pack the buggy and attempt to find and repair the puncture in my mattress. I shared a few (pint) glasses of wine and some conversation with Vasile before I turned in for the night to soak my feet. We talked about the history of Romania, politics and our respective families. Vasilie, who is 70, only learned to speak English 16 years ago. He doesn't get to have english conversations too often. That said, he is very easy to understand and has an excellent vocabulary. He is also fluent in Russian and other languages! He wouldn’t let me leave without a freshly filled bottle of wine. The video below shows him filling a jug in his cellar. I returned to my hotel room to find 6 x 2 litre bottles of water outside and Manuel is going to take me to a place in the morning to get my mattress repaired. So that’s it for today. Plenty of rest has been had and some “normal” things have been done which is very important for morale. I have 1 more rest day tomorrow before the 150 mile run through the mountains to Kalush.